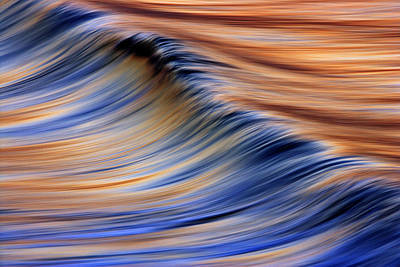 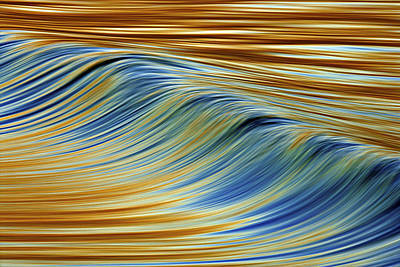 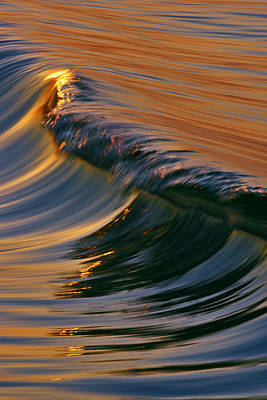 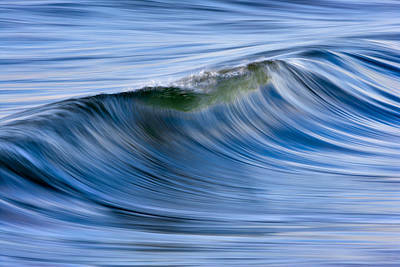 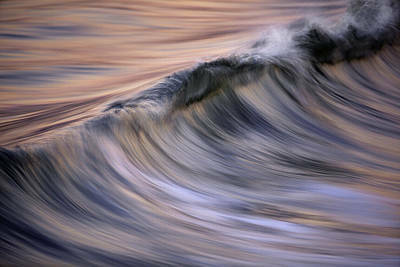 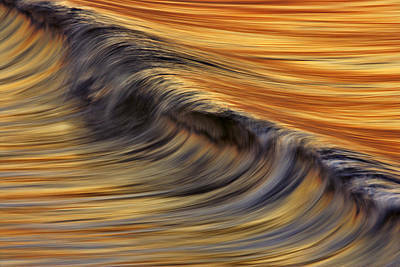 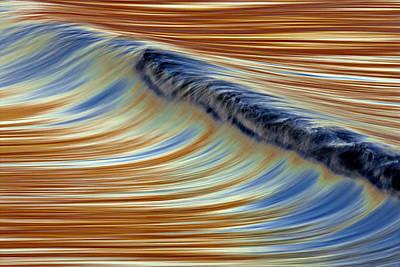 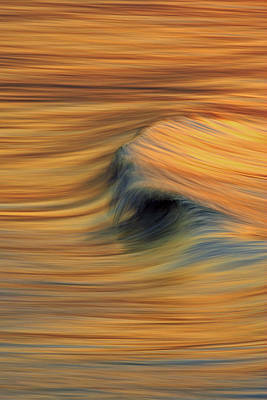 Photographs of ocean waves as they approach the shore. 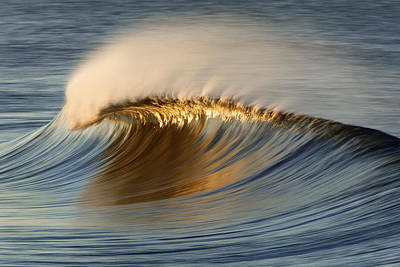 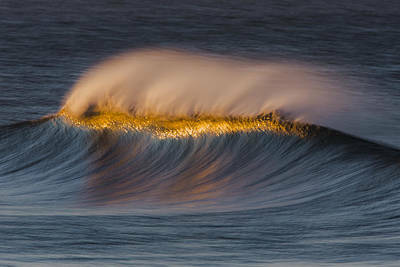 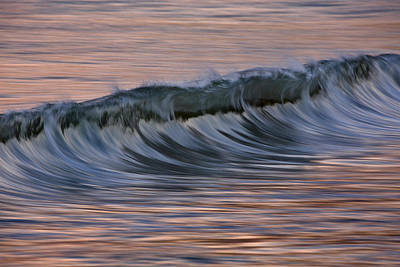 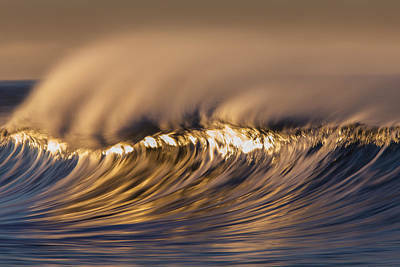 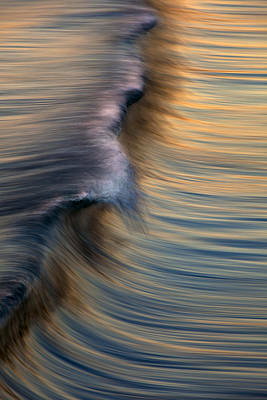 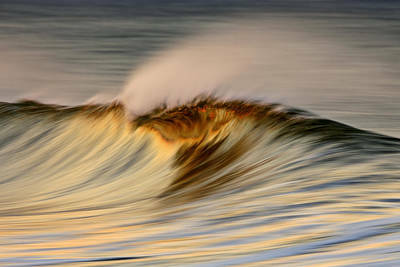 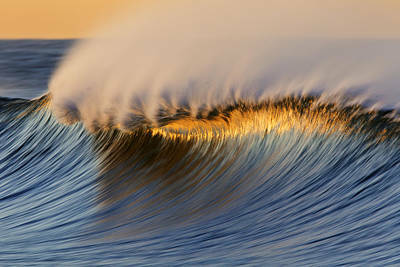 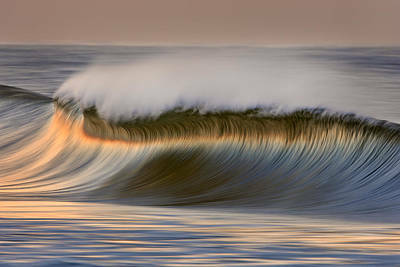 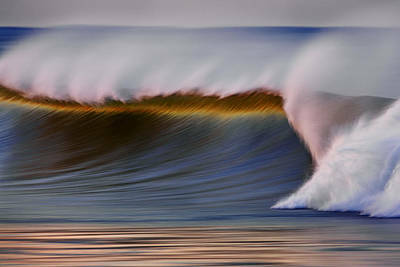 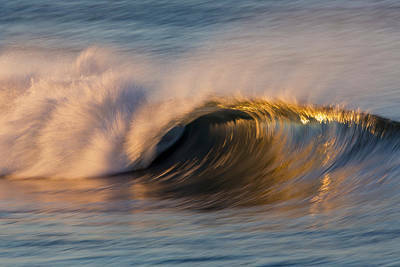 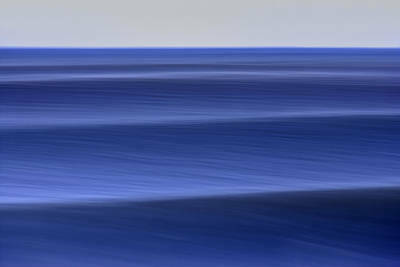 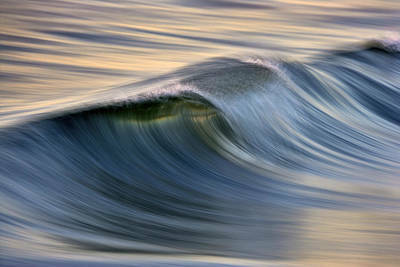 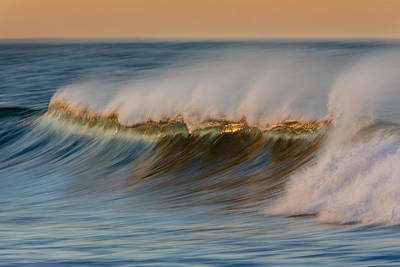 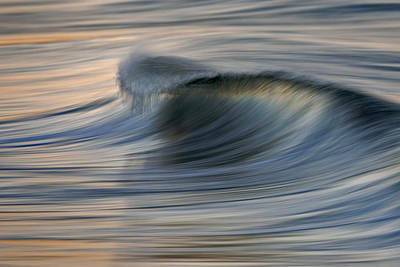 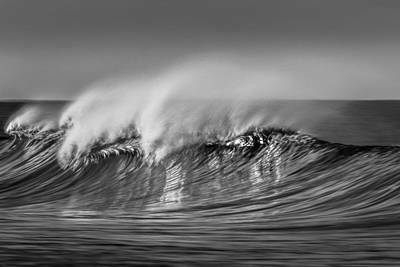 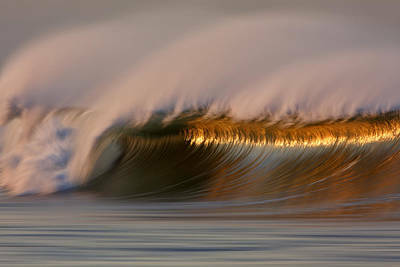 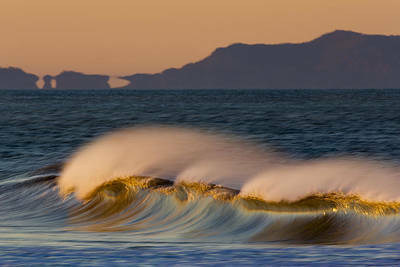 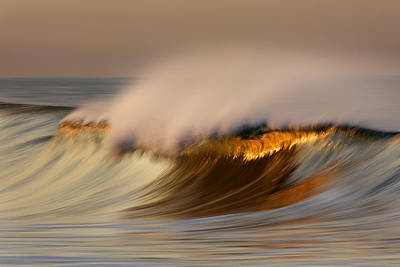 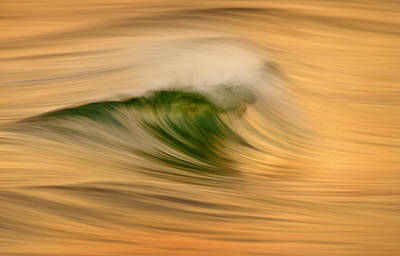 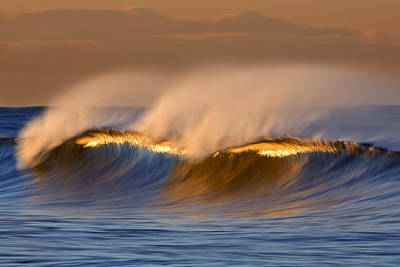 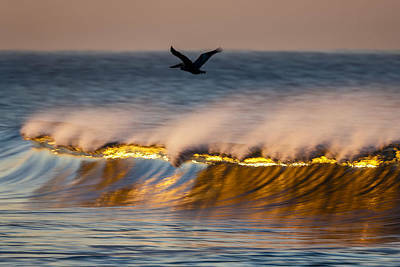 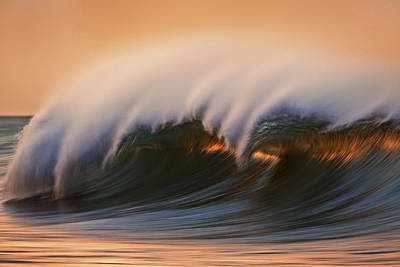 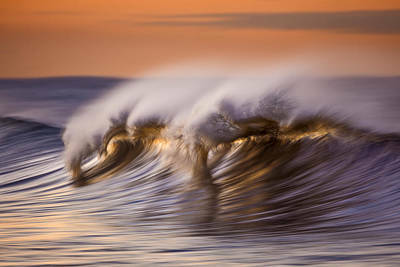 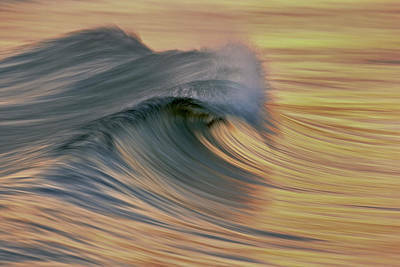 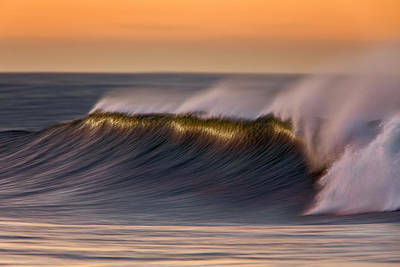 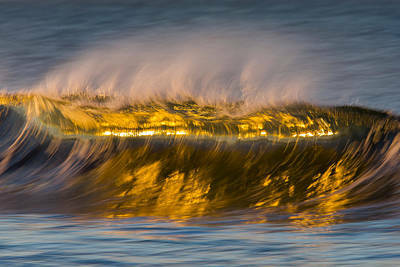 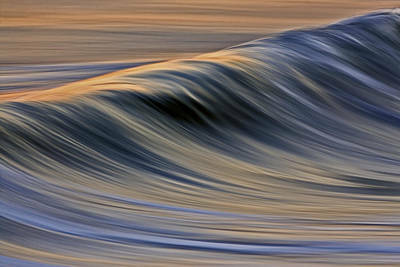 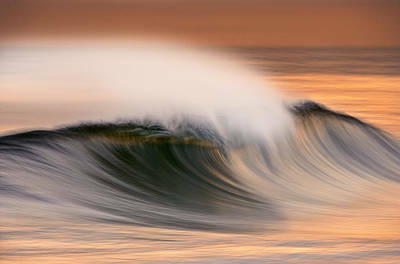 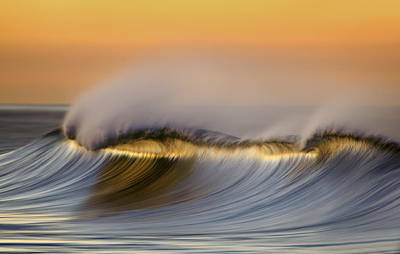 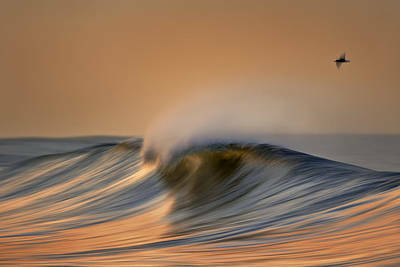 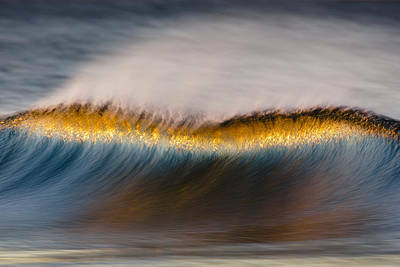 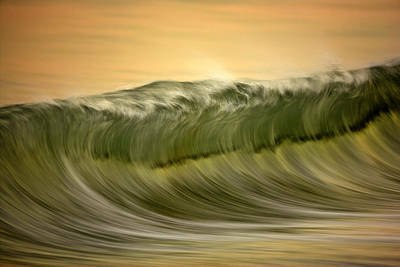 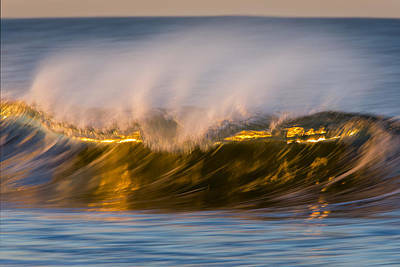 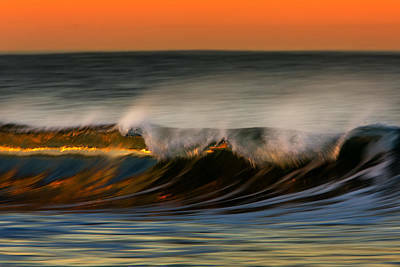 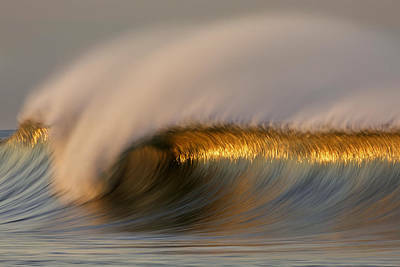 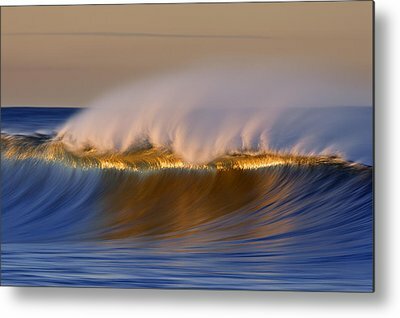 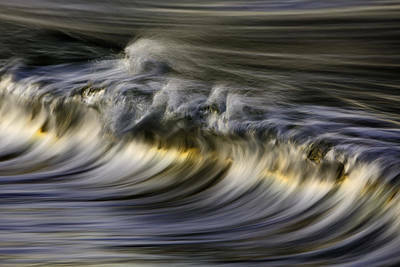 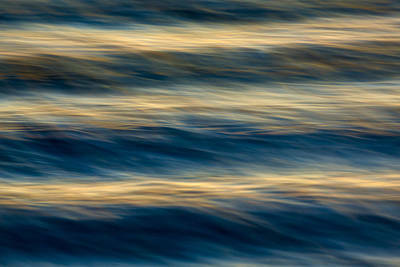 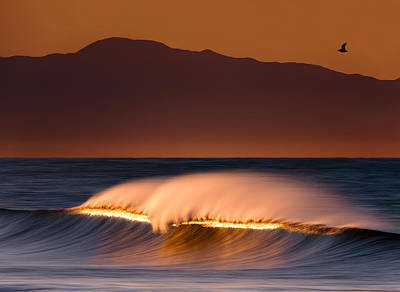 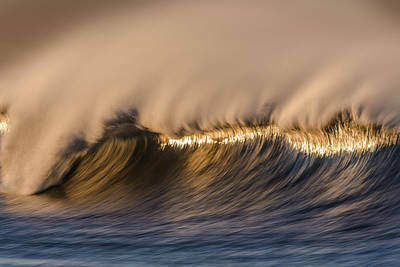 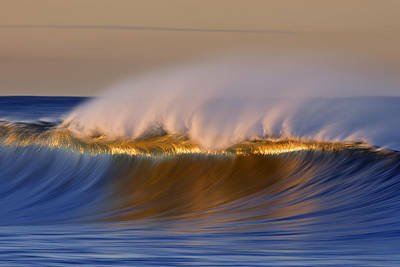 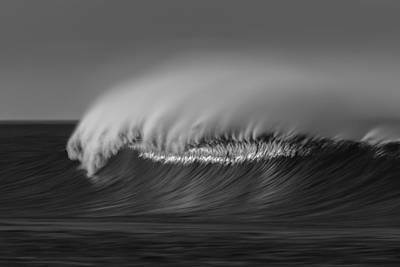 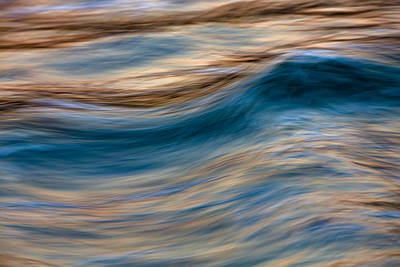 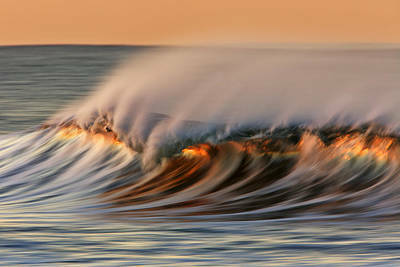 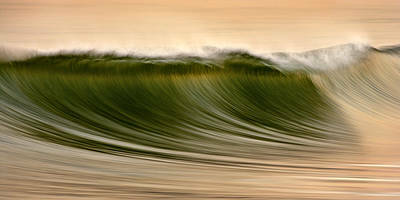 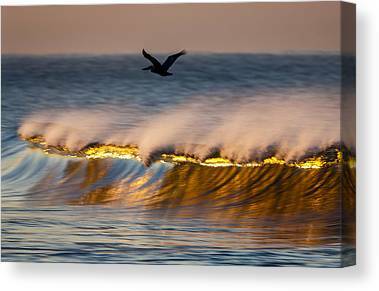 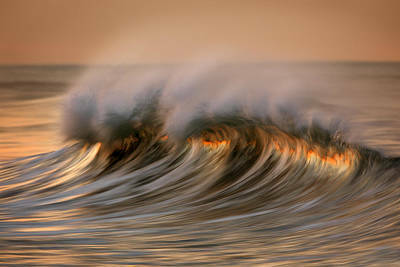 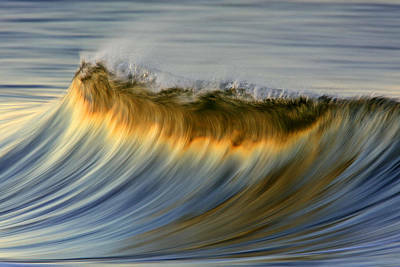 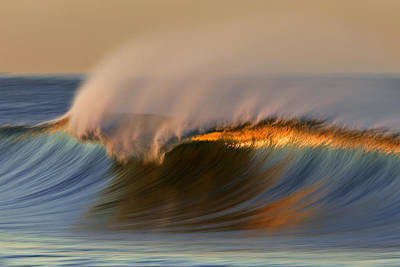 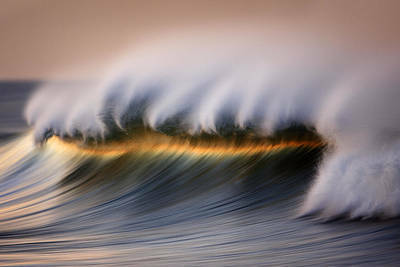 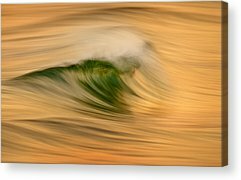 I typically use a slowish shutter speed and pan the camera to create a more fluid and painterly look to the wave, I shoot at dawn in Southern California to pick up the intense sunlight as the sun rises to illuminate the water. 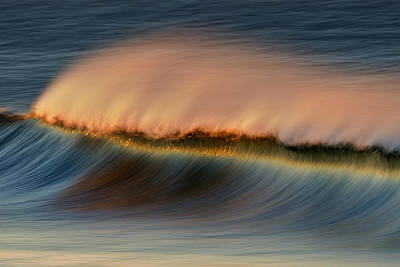 Also, I have shot during large fires where the smoke alters the suns colors to create unique colors to the water.